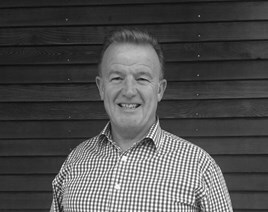 Peter Watts, Motors.co.uk director of dealer insight, is offering tips for retailers over Winter season and is advising dealers stock up to pre-empt sales from Boxing Day and into January. Watts has over 30 years of experience working in dealerships and car supermarkets. Watts comments: “With many dealerships operating a calendar financial year, the focus can sometimes shift to reducing overheads and emptying the forecourt to get cash in the bank for year end. Watt said there are also plenty of savvy buyers who know December is a good time to buy, along with parents shopping to find their child’s first car as a Christmas present. Watts said that while there has been a lot of commentary about pre-registrations artificially inflating the market, it’s important to look at the wider market trends. September saw a strong retail demand, which Watts believes was founded on genuine customers. He said: “By this, we mean that the significant jump in PCP deals on new cars in 2012 meant that this year, as the three year cycle came to its end, there were plenty of manufacturers offering strong incentives to retain customers and support them into a new car. “So, instead of struggling to find customers and pre-registering new vehicles, there was a real market. Whether selling new or used, Watts said the challenges remain around aligning the offline and online buying experiences. He said this is especially the case at Christmas when consumers will be pushed for time and used to comparing prices online for their Christmas gifts. He said: “From our experience, consumers want to be able to turn up at a dealership in much the same way they would a restaurant after making a booking online. “This means that the showroom should be expecting them, the car ready to test drive and the processes established so they can be in and out within the hour – with the delivery date of their next car already finalised.